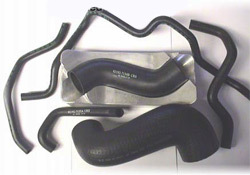 Extruded Profiles with or without metal. For use in highway and off-road applications for sealing doors, etc. 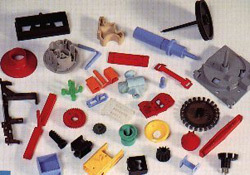 Polyurethane is used in applications requiring abrasion or extrusion resistance. Polyurethane is extremely durable, however it is typically more expensive than standard elastomers. 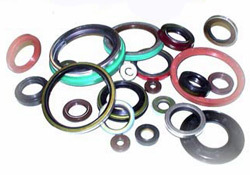 Polyurethane O-Rings can replace an O-Ring and back-up ring in high pressure valve applications. Polyurethane O-Rings can triple service life in piston applications vs. a nitrile O-Ring. 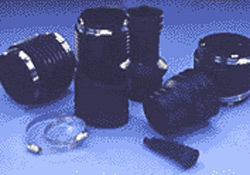 For use in u-joints, exhaust systems, etc. As required by your design, we can supply this complete with a wire spring insert for added rigidity. The gasket in a joint is often viewed as the smallest, least expensive, and ” simplest” part of the joint. 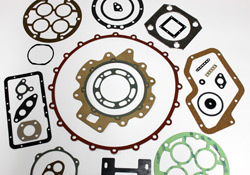 Often a gasket is chosen almost as an afterthought, long after the joint is designed. This should not be the case, let our sales expert work with you to specify the optimum material for the applicat ion. At CRS, Inc, we have working expertise in a wide range of resins and materials. But perhaps even more importantly, we have experts who can assist you in selecting the material which will work best in your application. Strength, hardness, rigidity/flexural properties, static dissipation and perhaps the most important factor– cost…we’ll assist you every step of the way. 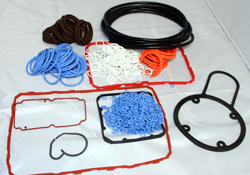 Below is a list of some of the plastics we routinely process for our customers. Tooled and all AS568 Sizes in a variety of materials to support your ranging applications. Inexpensive tooling costs on custom shapes and cross-sections. CRS specializes in Fluoroelastomer and Fluorosilicone materials for extreme temperature ranges and resistance to fuels. We offer NSF and FDA approved compounds. Let our expert salespeople educate you on dampening materials for your application. 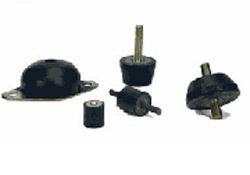 Used to control shock and vibration in a variety of industries and applications. 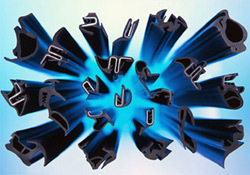 Our experience in rubber bonded to metal components is second-to-none in the industry. 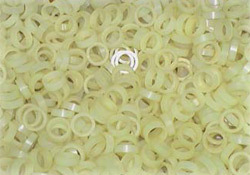 Precision Molded grommets to your custom specifications and material requirements. We offer a full line of Radial Lip Shaft Seals for every application from TS16949 registered factories. produced and supplied to your requirements. We supply both reinforced and non-reinforced to all SAE, JIS and JASO Standards. Homogeneous as well as multiple layered material as dictated by the application. Let our sales engineers work with you to design the most cost-effective solution. XYZ coordinate point fixtures available for inspection. 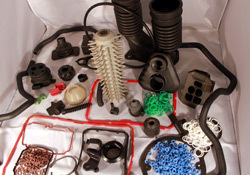 Custom Molded Rubber is our largest product line. Our value is demonstrated while working with your engineering staff to determine the most cost-effective design and material for your unique application.